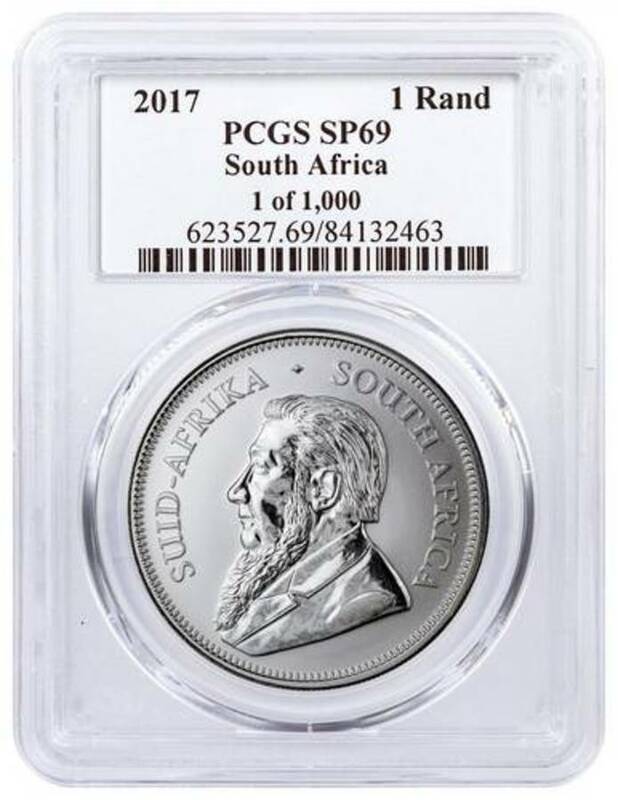 2017 is the 50th anniversary of the Krugerrand series of coins from South Africa. Many are familiar with this series, but did you know that they were actually the first modern bullion coins? Before the existence of any other bullion coins such as the American Eagles or Canadian Maples, it was Gold Krugerrands drawing the eye of the world since 1967. The South African Mint has marked this milestone by offering Silver Krugerrands for the very first time! This coin is made of .999 fine silver and weighs 1 Troy oz. The mintage limit for this version was set at 1,000,000 pieces. Many of the 2017 Silver Krugerrands have been submitted to third-party services for grading and encapsulation. The coin offered here has an exclusive label which makes it stand out among others like it. This specimen has a Krugerrand themed UV Reveal label. While the Krugerrand theme is visible under any lighting, UV light will reveal additional details on both the front and back! When you purchase this coin you will receive a UV light to go with it. Only 1,000 of these unique labels were made. Thanks, great information on this historic bullion issue.